Member of the International Financial Commission. Trading app for both iOS and Android OS. Financial markets continue to change and evolve and so does the technology. With that, people are now able to access a wider variety of markets through different products. OlympTrade.com is a website that allows you to trade or best on certain markets such as crypto or currency pairs. Utilizing Olymp Trade gives you access to markets that traditionally require large capital requirements. If you are looking for a review of Olymp Trade look no further, as this article will take a deep dive into what the platform offers. From there, you can determine if it is the right fit for you. Is Olymp Trade Reliable or a Fraud? What Kinds of Assets Can You Trade? Free Demo Account – Best Way To Start Trading? How Can You Become a VIP? 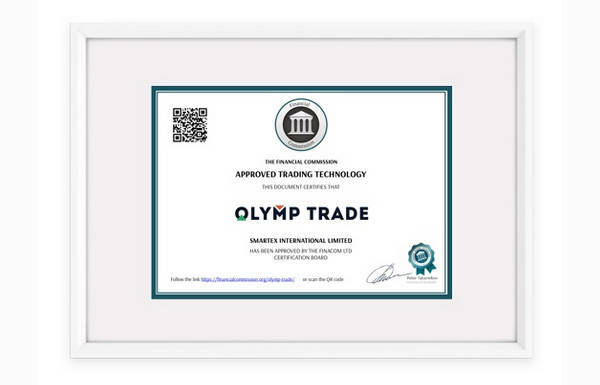 Olymp Trade is a trading platform that has been in operation since 2014. Through their platform, traders can utilize different instruments to access the markets of their choice. 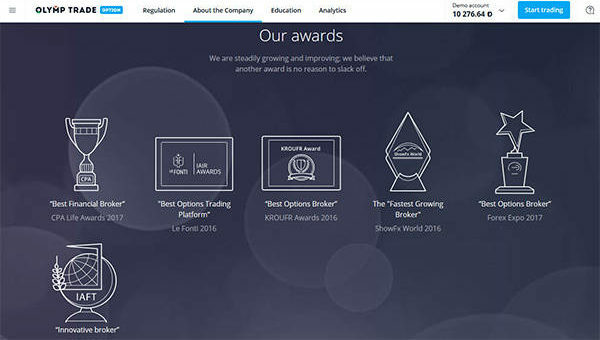 Beyond the trading platform, the company (Inlustris Ltd. Registration No. : 25161 IBC 2018. Registered Address: James Street, Kingstown, First Floor, First St Vincent Bank Ltd Building, Saint Vincent and the Grenadines) provides its customers with education options, which can better prepare for the markets and relating trading strategies. The methods used for education include webinars or one-on-one consultations. Along with the educational opportunities and trading platforms, numbers and transactions continue to increase according to their website. If you’ve searched the web for a trading platform you’ve likely come across a few that trigger skepticism. However, according to Olymp Trade they are currently a member of the International Financial Commission, which they joined in 2016. Being a part of the Financial Commission gives traders a level of reliability as traders deposits may be refunded up to $20,000 in the event of fraud by the company. Achieving this designation and being a member of the International Financial Commission demonstrates a high level of quality and service. However, if you still find there is an issue, Olymp Trade provides customer services that appear to act quickly. Customer services is something that can make or break company because when you deposit money you are building trust with the company, and one way to break trust is to have lousy customer service. Having the ability to trade a variety of assets isn’t critical, but certainly is a large benefit given how the markets change. 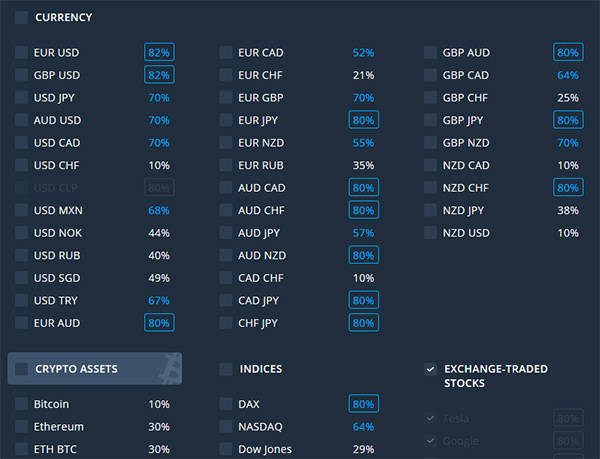 With Olymp Trade, you have the ability to access may different markets including stocks of major companies, the various major indices, currency pair, as well as commodities. Regarding the currency pairs, the normal suspects are available such as USD/JPY and EUR/USD. However, if you want to see the entire list for yourself, take a look at the Olymp Trade website. Along with the usual currency pairs, the stocks include Apple and McDonalds. Lastly, if you are looking to gain exposure to the cryptocurrency markets, you can trade Bitcoin, Litecoin, and Ehtereum. Utilizing Olymp Trade to trade crypto can benefit you because not only are there different products, all of your trading options are in one place so you have no need to switch between platforms. If you are new to trading or new to Olymp Trade, start by opening a demo account as this the best way to get started. The first reason is it lets you test-drive the platform without risking your hard earned capital. Once you’ve test driven the platform for some time, you can make your decision then. Should you be new to trading all together, opening a demo account allows you to find your rhythm, stride, and discover what trading is all about. Demo accounts allow you to test strategies and methodologies to begin discovering what trading style fits your needs best. The demo account with Olymp Trade offers you $10,000 in virtual money to test the platform, giving you the ability to test everything risk free. Once you have taken the time to utilize your demo account and become familiar, you have a few options look at when opening a live account. Many platforms offer a variety of levels and Olymp Trade is no different. The first account is a simple and vanilla live trading account. If you are looking to simply fund an account and begin trading then this is likely for you. One of the benefits to using Olymp Trade is the minimum deposit is $10 and you can trade for a little as $1. Should you want to withdraw your money, keep in mind the minimum withdraw amount is $10. Secondly, if you want to step up your account status you should look into the VIP account. A step above the regular account, opening a VIP account take $2,000 to open the account and by opening a VIP account, you will be a consultant, increased profit on trades, and a few other perks. Consider each account carefully because you want to ensure your money is working efficiently for you. Going slightly deeper into the VIP account, you can visit their website for more information regarding the VIP account. However, here are a few additional points to consider before opening a VIP account. 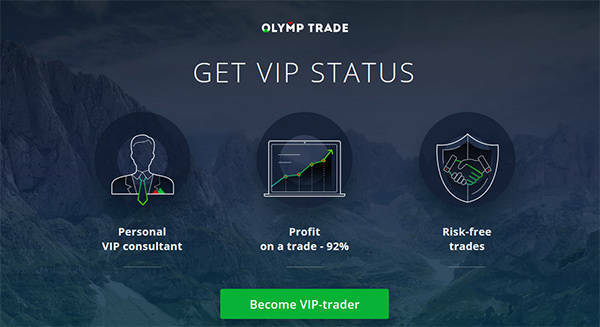 According to the Olymp Trade VIP trading page, as a VIP member you can get risk free trades, exclusive strategies, and private VIP webinars. When looking into these options, you may want to reach out and inquire about them to fully understand what you are getting. A $2,000 initial investment is quite large for some so it’s critical you are getting your monies worth. Having a mobile trading app in todays landscape is a must and Olymp Trade delivers. With an app for both iOS and Android, you will find what you are looking for. The benefits to having a mobile trading platform is you can access the markets when you are on the go. Planning trades in your office and monitoring them while you are away brings you a peace of mind. Not only that, but you can catch market moves as soon as they happen no matter your location. There are many different ways to deposit funds into your Olymp Trade account. 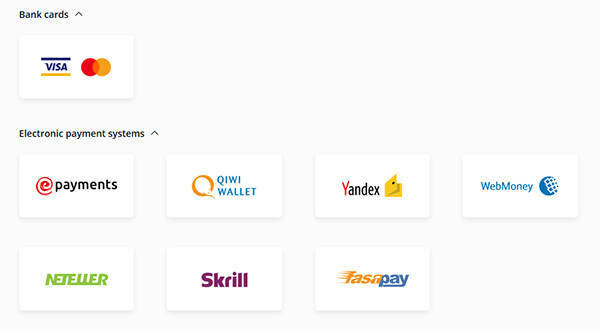 According to their FAQ page, you can deposit using the following methods: QIWI, Webmoney, Yandex.Money, NETELLER, Skrill, and Fasapay. You can also replenish account from your Visa or MasterCard. With this diverse list of deposit methods, one is bound to fit your needs. Understanding how to withdraw your funds is just as important as any aspect of trading because you need to plan for cash flow. According to the FAQ page, you simply go to your dashboard and select withdraw. From there, you choose the method and submit your request. The maximum withdrawal period is 5 business days but Olymp Trade makes every attempt to process your funds within 24 hours. Even at the longest length of 5 days, this is a respectable withdraw timeframe. One of the final items to consider when opening an account, regardless of the platform is to review the terms and conditions of the company. Reviewing the terms and conditions will provide you with much of the legal information you need to understand before continuing with a platform. Typically the Service Agreement is fairly straight forward, but it is up to you to determine if you agree with the content. For example, section 5.3 states Olymp Trade can refuse communication if you use profanity, an emotional valuation, or speak ill of the company. Also, ensure that you understand the laws with which the company is governed; in this case it is Saint Vincent and the Grenadines. Should you want to read the full document, you can read it here. 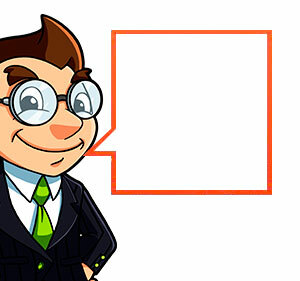 Other documents on the company’s website you should review include Regulation on Trading Transactions. This document will provide you with information regarding how the trading process happens and what must take place before the trade occurs. 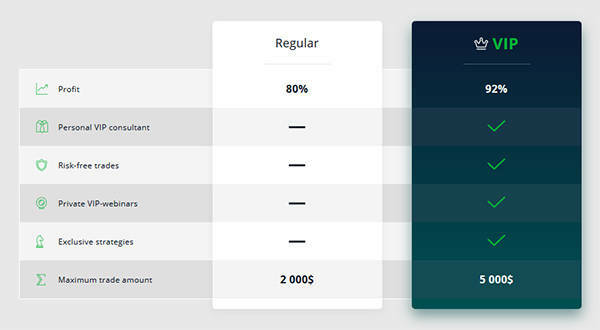 Also, you should know how the underlying asset is priced as this can make difference in the charting platform you utilize or the settings within. A simple working knowledge of the legal documents should suffice and if you find anything you disagree with, send an email or simply move along to another platform. OlympTrade.com appears to have their stuff in order and this can be a useful way to access markets that otherwise would require larger capital requirements. Also, access to these markets would normally take traditional accounts. With the margin requirements and software that many trading platforms require, Olymp Trade appeals to the masses as they offer a simple way to begin trading. As with any trading this style of investing may not be for everyone as with any market exposure there is a level of risk involved. It is up to you the individual to understand the risks and know if this is the right system for you. Some of the drawdowns do include limited market range, as you can only trade the underlying assets they offer. Also, you may find withdraw times and limits are not up to your standards. Regardless, check out the service for yourself. As discussed earlier, you can open a demo account and test drive the platform without risk. Once you’ve gained a level of familiarity and become comfortable, there are two different accounts to fit your needs. Olymp Trade appears to be a solid company, but that is up to you to confirm. Just register, choose your language, and test it on demo account. High risk stuff, imho, but some people manage to profit.